What day is it? Wash day!!!! Once again this was a simple wash day with great results. Here's what I did. For my hair cleanser this week I used As I Am Cleansing Pudding. After rinsing out the conditioner and letting my hair air dry for an hour my hair felt so soft that I contemplated not moisturizing. Then I realized that was probably a bad idea that I would regret in the morning. Out came Eden BodyWorks Coconut Shea Leave In Conditioner, sunflower and coconut oil. After cringing through drying my hair with a blow dryer last wash day, I couldn't bring myself to do it again. So I decided to air dry. Even if it meant going to bde with damp hair. Which I did. I also woke up with damp hair. Out came the blow dryer which I used on low heat. I really need to get one with cool air or a cold shot. Black Friday sales here I come. Ta-da! 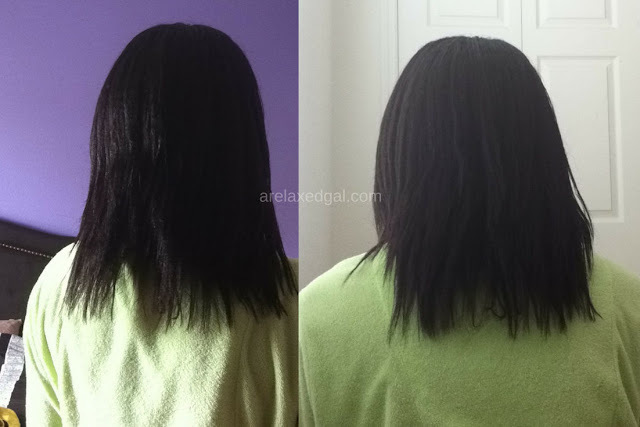 Smooth and moisturized hair. What do you do when your hair doesn't fully dry overnight? I usually end up with damp hair in the morning because (1) I finish my hair late and (2) my roller sets don usually finish drying overnight. Typically, I'll sit under the dryer in the morning and it will be dry them. Your hair looks really smooth and thick. Thanks! I hear you. Completely drying my hair when air drying is something I haven't been able to master. No matter how early the day before I wash my hair it's always still damp the next day. No, I have very fine strands so my hair tends to dry really quickly. Love how thick you hair looks. 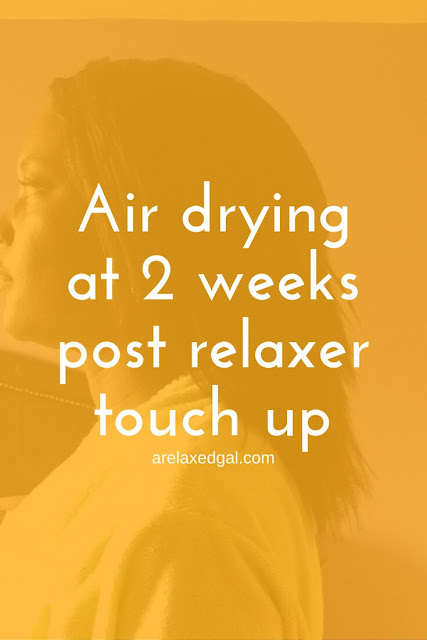 How quickly does your hair air dry? I love simple wash days, but mine was a little too long. Simple wash days are the best. I've been trying to shorten mine every now and then so I don't end up spending all day on my hair each week. 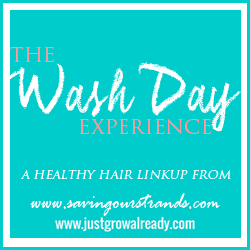 What products are you go-tos on wash day? No, I never go to bed with damp hair. Hate it. I always make sure I wash it so early that it can air dry before I go to bed. That's smart. I've tried washing my hair early in the morning and letting it air dry all day, but it's still never completely dry when I go to bed. Also, if you let the hair dry before putting on leave ins and moisturiser it dries quicker. Products go in to the hair better if the hair is dry. Compare with if you put a drop of oil in a glass of water. It will just float on the surface. Even if you stir it, left for a while the oil will float up to the top again. Thanks for the tip. I tend to let my hair air dry for an hour or two before applying my leave ins. Otherwise as you said it's counterproductive. I've tried waiting till my hair is fully dry, but then the leave ins couldn't get me hair moisturized and my hair felt so dry I ended up washing again a couple of days later.